Through the side entrance of Lightner Museum. Cafe Alcazar is one of St. Augustine's unique places to eat, located in the deep end of where the Hotel Alcazar swimming pool used to be, inside the Lightner Museum building. This restaurant offers an amazing atmosphere for lunch diners, seven days a week. It also serves as an event room for special events like weddings, receptions, and banquets. Cafe Alcazar is open every first Friday of the month for dinner, coinciding with the First Friday Art Walk in St. Augustine. Henry M. Flagler built the Alcazar Hotel and Casino, now known as the Lightner Museum, in 1888. The Alcazar boasted the world's largest indoor pool during its heyday, and now this pool is home to the Alcazar Cafe. The cafe is almost hidden in the deep end of the old pool and shops filled with antiques surround it. Three floors of balconies surround the ground floor where guests will sit and dine. This restaurant offers a unique old world experience with affordable gourmet dining and live entertainment in the nation’s oldest city, St. Augustine, Florida. At Cafe Alcazar guests will find a variety of dishes, from salads and soups to seafood and sandwiches. Using only fresh ingredients and authentic Frixa Olive Oil (never transfats) in the preparation of its dishes, the café is the perfect spot to enjoy a delicious lunch in relaxing surroundings. 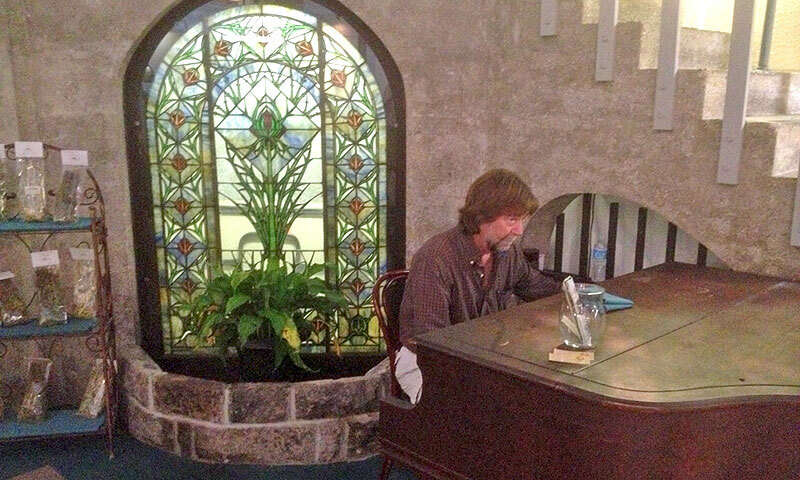 The café also features daily live music, with a classical guitarist performing from 12-3 p.m. on Monday through Wednesday, and a classical pianist performing from 12-3 p.m. on Thursday through Sunday. This restaurant is a fine dining establishment, yet casual attire is appropriate. The café is also surrounded by great antique shops and the intriguing Lightner Museum on the upper floors. 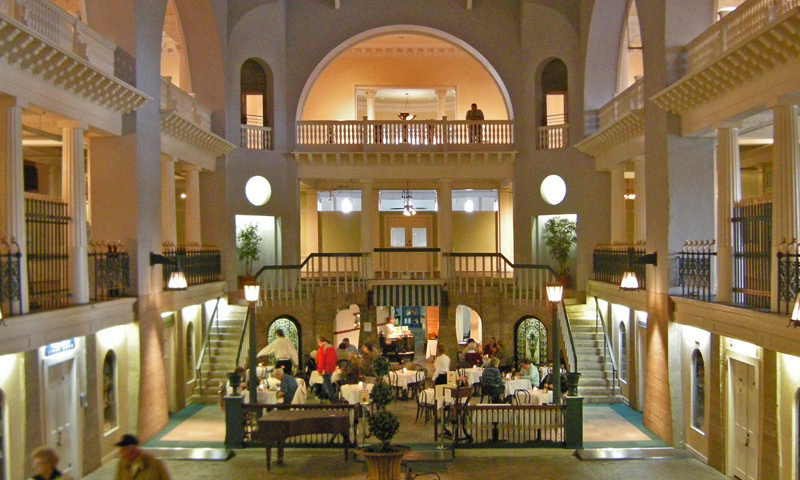 Cafe Alcazar also serves as a venue for special events. We found this place via Google looking for a nice restaurant to celebrate a family "babes" weekend. Couldn't have asked for a better meal, the service was fantastic and the manager was a sweetheart! Can not wait to go back again with my husband when we visit in May!